The LL.M. is designed for students who wish to take full advantage of the extraordinary range of opportunities offered in Brussels, the capital of Europe. The program includes visits to the institutions of the European Union (European Commission, Council, and Parliament) which are headquartered in Brussels. The LL.M. 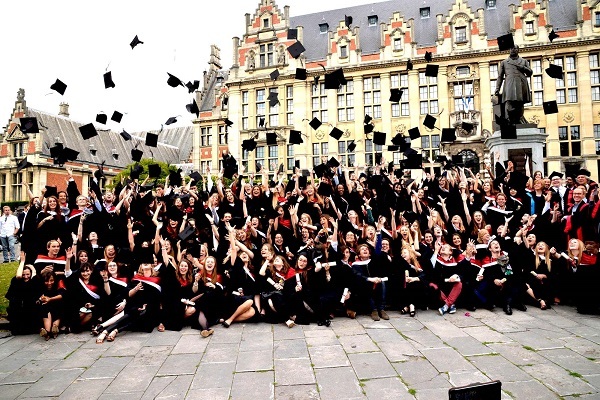 is part of the program offering of the University of Brussels (Université libre de Bruxelles, or “ULB”), one of the leading universities in Europe, with 25.000 students, 32% of which come from outside of Belgium. LL.M. courses are taught on the Solbosch Campus, which is the main and largest campus of the university, situated in the Brussels-Capital Region. The campus is located in the vicinity of the European Institutions. The ULB offers extraordinary extra-curricular and co-curricular activities, including lectures, workshops, internships, career events and social activities. Some of these activities are integrated into our academic program. The LL.M. is open to students from across the globe who hold a primary degree in law or who have gained experience in law at the graduate level. Students must choose an elective course from amongst the courses that are offered at the Faculty of Law of the ULB. The elective requirement can also be satisfied by doing an internship (obtained by the student). We offer one scholarship per year which involves a waiver of fees. The scholarship is aimed at widening access to the program for a deserving student with excellent academic credentials. The application for the scholarship must be received by 1 June. Primary Degree: The LL.M. is open to students who hold (i) a primary law degree or (ii) a primary degree at University level in another subject with professional or other experience in law. Proof of English Proficiency : Candidates must establish English proficiency in one of the following ways: (i) TOEFL test with a score of minimum 90, (ii) IELTS test with an overall score of minimum 6.5, (iii) primary degree in English, (iv) other written evidence of English proficiency (subject to acceptance by the admission officer). Visit our site here to read more!